Thai Amulets Love Charms Culture : Prime Minister Prayut Chan-o-cha Showing His Collection Of Thai Amulets !!! 泰国总理给大家看看他佩戴的泰国佛牌 !!! Prime Minister Prayut Chan-o-cha Showing His Collection Of Thai Amulets !!! 泰国总理给大家看看他佩戴的泰国佛牌 !!! 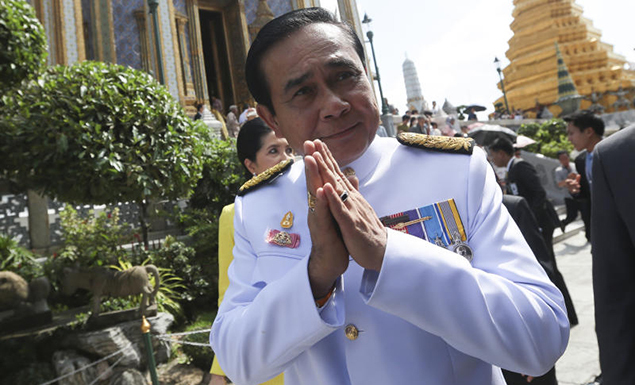 Prime Minister Prayut Chan-o-cha showed a collection of Buddhist amulets he wears around his neck during Monday's press interview at Government House in Bangkok. 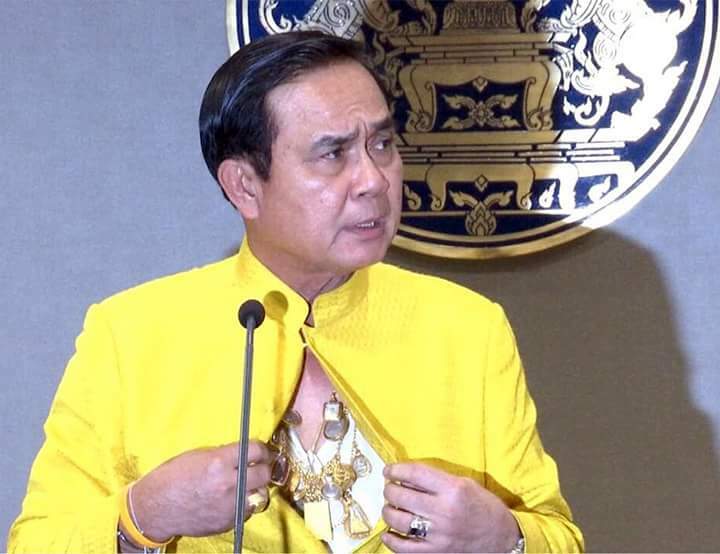 Gen Prayut quickly unbuttoned his shirt when a reporter asked him whether a senior monk from Wat Traimitr Withayaram gave him any holy relics during a Buddhist ritual for the construction of a reception building behind the Thai Khu Fah building, Government House. 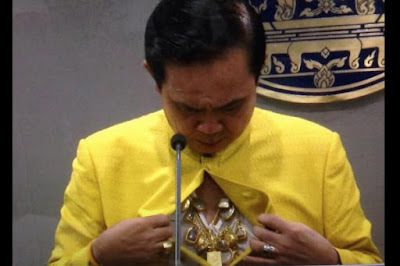 "I already have many amulets," Gen Prayut answered as he revealed at least 10 amulets in gold plated cases on his chest. "I have had these amulets a long time. When I became a soldier I continued to receive them, like this Luang Phu Thuat amulet. "But I never count how many amulets I have. They're not heavy because they're in my heart," he said as reporters and officials in the room expressed their awe. Many Ask Us How Many Amulets Can One Wear ? Guess This Is The Answer !!! Not Sure Which Amulet Suits You Best ?